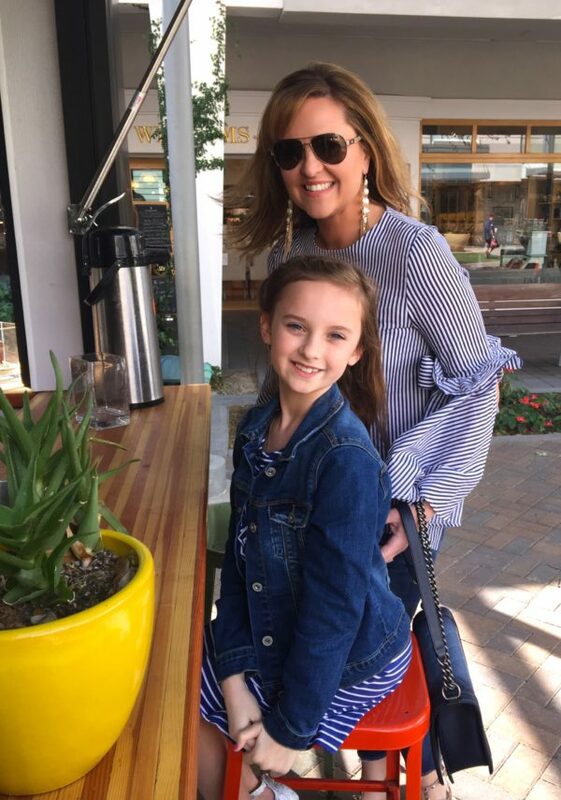 My mini and I donned our best stripes in recognition of the first #NationalStripesDay, a day created by the one and only J. Crew. Classic stripes are reinvented in a variety of cuts and styles every spring. From skinny to wide, navy and white to multi-colored, there are so many looks to choose from this season. Of course, you can never go wrong with an always-in-style, preppy striped tee. 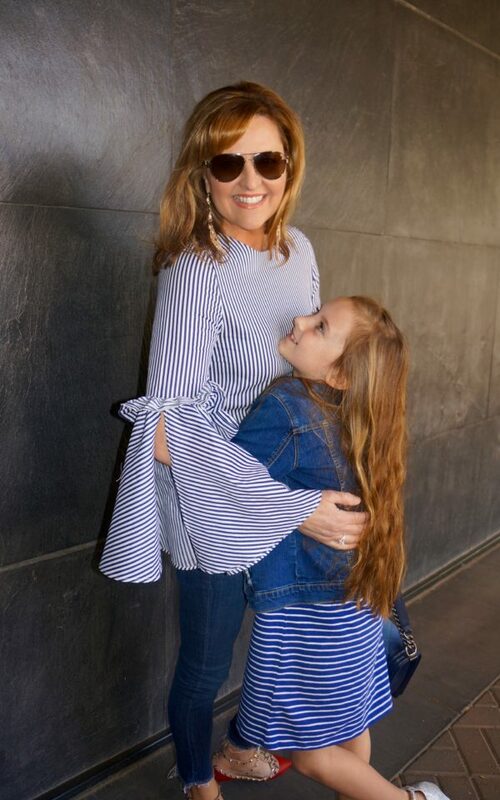 And, while horizontal stripes are a popular look, vertical stripes are ultimately more flattering with their long, slimming line. 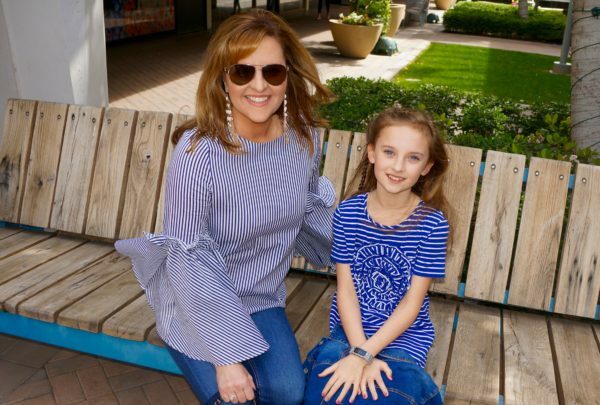 Note that a great pendant or statement necklace can break up the widening effect of horizontal stripes though by drawing the eye down. 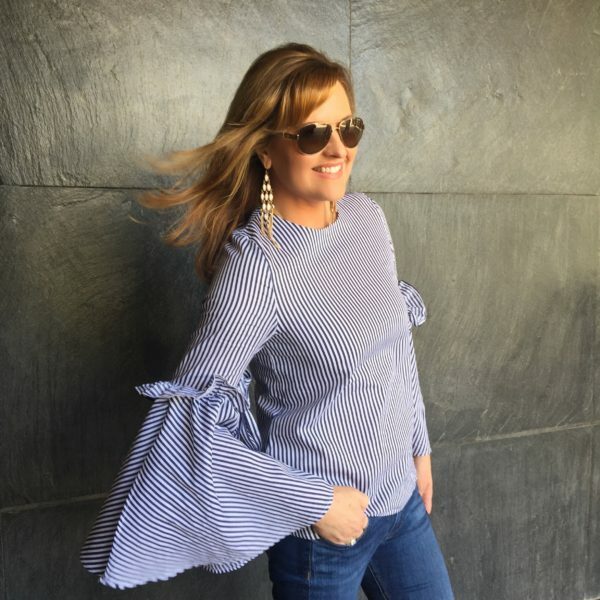 Bell sleeves are a haute trend right now and I am in love with the look — such a beautiful statement! 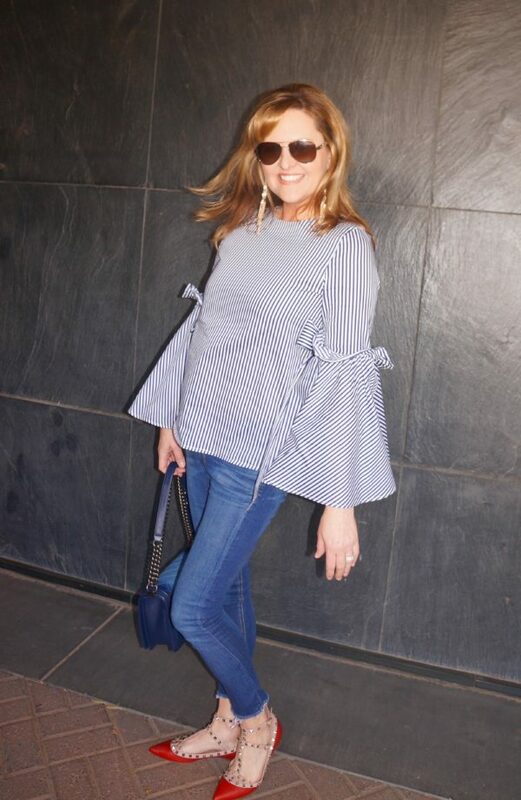 And, can you believe this top I’m wearing is only $45??! Happy National Stripes Day! 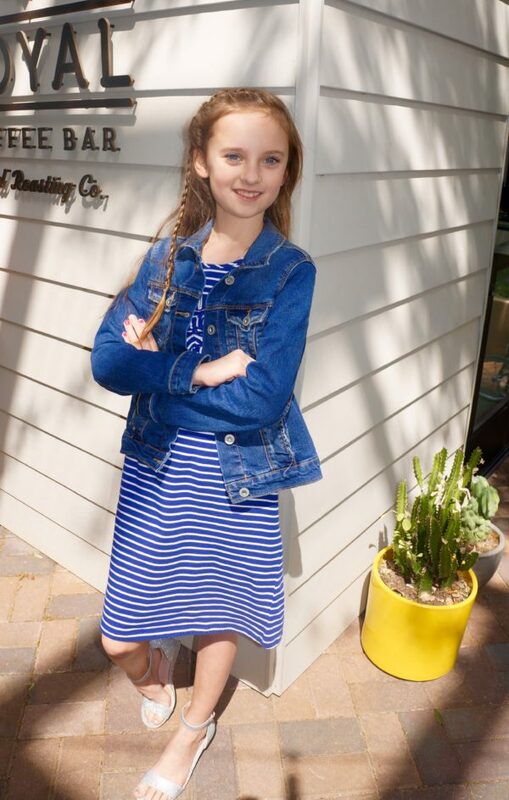 Arizona Midday | Spring Dresses!